Episode 1 "Secrets & Lies"
Three months later, Star returns home from touring, and Alex and Simones fates are finally answered. Carlotta and Cassies sibling rivalry continues, as the two grapple with the aftermath of Cassies big mistake, and Christine is caught in the middle. When Carlottas back is against the wall, Midtown Sounds strength and future is tested by Mateo Ferrera, and Stars big announcement leaves a lot of questions unanswered. Episode 2 "Whos The Daddy"
When Mateo pulls a shocking stunt to reveal Stars pregnancy, the social media trolls go wild. Meanwhile, Simone faces a choice between her marriage and career, Carlotta and Cassie continue to battle it out and Maurice and Cassie team up for an unlikely ploy. Then, Derek returns home to find Miss Ruby in trouble. Episode 3 "A Family Affair"
In an attempt to "go legit," Cassie embarks on a new venture with a businessman, that interferes with Carlottas work. Meanwhile, Noah struggles with making a contract decision under the watch of his father, Bobby, who is now back in his life. Then, still struggling with the death of a super-fans sister, Alex helps the fan start a music career. Also, a shocking discovery causes Star to take family a little more seriously, Simone finds out a secret about Mateo she cant keep to herself and Andy is back in trouble. Episode 4 "All Falls Down"
Still stressed and grieving, Carlotta lands celebrity host Ryan J to host Gravity Medias Snowball event, but it doesnt come easy. Meanwhile, Star finds out that Maurice stole from her, and Derek becomes skeptical about Alexs super-fan-turned-bestie, Olivia. Then, Simone is asked to speak at the Orange Ball; Cassie does business with her ex, Xander; Maurice gets a blast from the past; and someones fate is revealed. Episode 5 "Someday Well All Be Free"
Carlotta goes missing, suspicions about Olivia rise as she continues to pursue a friendship with Alex to cope with the loss of her sister. Maurice and Mateo settle on an agreement that tests Noahs loyalty. Miss Bruce and Bobby connect over their similar pasts and Noah, Simone, and Star try to keep Carlottas Music Festival afloat in her absence. In an effort to boost ticket sales, Mateo brings on controversial rapper Lil Dini, who clashes with Take 3. Star and Noah confide in each other about their relationship issues and Simone is put in a sticky situation when Jackson is cast as her co-star in a movie. Meanwhile, Dereks keeping a secret, Cottons suspicions about Cassie grow and Xander pushes Cassie to find the rat in her organization. Episode 8 "Roots and Wings"
Carlotta returns to Gravity Records, but finds out a lot has changed. Star meets Jacksons mother, Becky, and makes a shocking discovery. Meanwhile, Simone asks Nina for help when Angel returns in an unlikely way; Alex, still reeling from her fight with Derek, struggles with writing her own music; and Noah becomes dangerously paranoid and enlists his father, Bobby, as his new manager. Then, Cassie and Carlotta take steps towards making amends and Carlotta finds healing in confronting her father, Calvin. Carlotta does what she can to make the Rhythm and Bells Festival a success. However, challenges arise when Star ends up in a legal bind, Alex makes a major career move, Simone is hiding a secret and Cassie gets out of jail seeking revenge. Meanwhile, Derek and Ruby volunteer at the shelter, where Ruby comes face-to-face with the man who attacked her. Then, tempers flare as Carlotta and Cassies father, Calvin, shows up unexpectedly. Episode 10 "When Stars Fall"
After giving birth, Star ends up jeopardizing everything she has worked for, while Simone fights for her family. Meanwhile, Carlotta opens up about buried trauma from her past, Cassie puts her neck on the line to save her nephew, Alexs career is skyrocketing and the team begins to think about the future of their musical careers. Episode 11 "Watch the Throne"
Stars situation with the law intensifies, while Noah juggles new priorities. Gigi and Alex face off to see who will be number one at the label. Meanwhile, Simone, Mateo and Derek fight city council to make Atlanta a sanctuary city in order to get Angel home. With ASA nominations approaching, Alex and Gigis rivalry heats up into a sing off, while both of their family dramas come to a head. Star struggles with being away from Davis, as Noah battles his old vice. 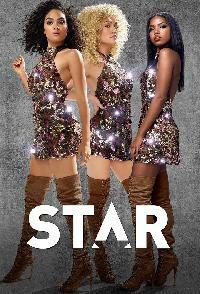 Miss Bruce, Simone and Cotton make a startling discovery that could help Star get out of jail. Meanwhile, Cassie and Maurice team up for a take-down. Under Mateos hand, Gravity Medias finances are in the gutter and the team must pull off a successful ASA party to get back in the game. Carlotta returns and jumps right back into cleaning up everyones mess. Cassie closes in on Xander and digs into the past, after her fathers bombshell. Meanwhile, Simone watches over Star as Noah wrestles with his demons, and Alex and GiGis rivalry takes a new turn. Carlotta and Gravity throw a Legend Tribute concert to campaign for the ASA Awards. When Stars health takes a turn for the worse, Simone is put in a difficult decision. Meanwhile, Alex attempts to trust her family again, Cassie and Maurices relationship reaches new heights and Noah grapples with his reality after a visit from his mother, Dianne. Gigi makes a career changing choice and Cassie takes matters into her own hands with her father. Episode 15 "Lean on Me"
Simon and Alex prepare to compete against newcomer Amber for their ASA performance. Noahs father, Bobby, returns to help Noah with his sobriety and fatherhood. Meanwhile, Miss Christine, Cousin Duke and Cousin Rashad come to town, much to the chagrin of Carlotta and Cassie. Then, Leon makes Cotton an offer.